Pitbull Alarm looks like a simple PIR (Passive Infra-Red) sensor. It has 2 PIR sensors, so is pet-immune (up to 40kg). 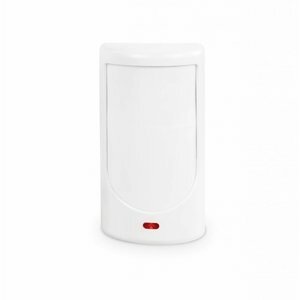 More importantly, Pitbull Alarm is a complete GSM/GPRS alarm system with integrated wireless module to pair up to 16 additional wireless sensors and controllers into one system. There is also microphone for covert listening, temperature sensor and back-up battery onboard. Pitbull Alarm installation consists of several simple steps and takes less than 5 minutes.